Amazon US shows a price of $4.98, while in the UK Wow HD is showing a price of £4.88. CD artwork is not yet available. thanks Jim, seems ages since we had a CD release. Good price, I will be ordering it. 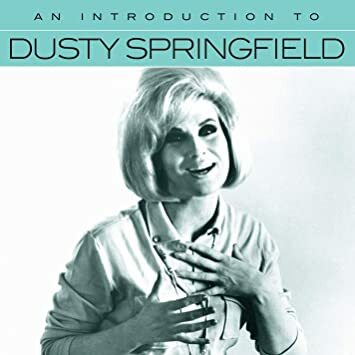 Well that's a very strange mix of tracks to act as an introduction to Dusty. 'Memphis' top heavy! This would be my selection and has no bearing on personal likes otherwise 'Preacher Man' would be excluded. I've never liked it and find it very irritating! 12. Where Is a Woman to Go? John, the selection on the Flashback CD is limited to tracks that Atlantic has the US rights to, which accounts for the reliance on tracks from Memphis. Based on the US retail price of $5.00, Atlantic's share would not be enough to pay for licensing tracks from other companies. Of the twelve tracks you chose, John, Atlantic has the US rights to only three of them, ie SOAPM, Brand New Me and Spooky. I never thought that I would end up being an apologist for a record company. i must go and lie down. b. to remove the track listing I copied on to here yesterday. This CD has now appeared on UK Amazon, showing a price of £3.89 but no track listing. Certainly a most excellent price. Nice photo but wrong in the context of what the contents will be! A bit odd to choose a 1964 photo for a CD of material from 1968 to 1970. Soundwise the cd is excellent despite the fact the version of Spooky is the one with the out of synch finger snaps and minus the echo which I always though enhanced the track. Surprisingly enough on the sleeve it states Atlantic Recording Corporation after the titles Spooky, How Can I Be Sure & Take Another Little Piece Of My Heart, I would have thought they belong to Universal? While the tracks you mention were all recorded in the UK by Philips, the US rights to them are owned by Atlantic under the deal that Dusty signed with the two companies in 1968. For the period of the contract, Atlantic would have the North American rights to the UK recordings made by Philips. Conversely, for recordings made in the US by Atlantic, Atlantic would own the North American rights and Philips would own the rights for the rest of the world.